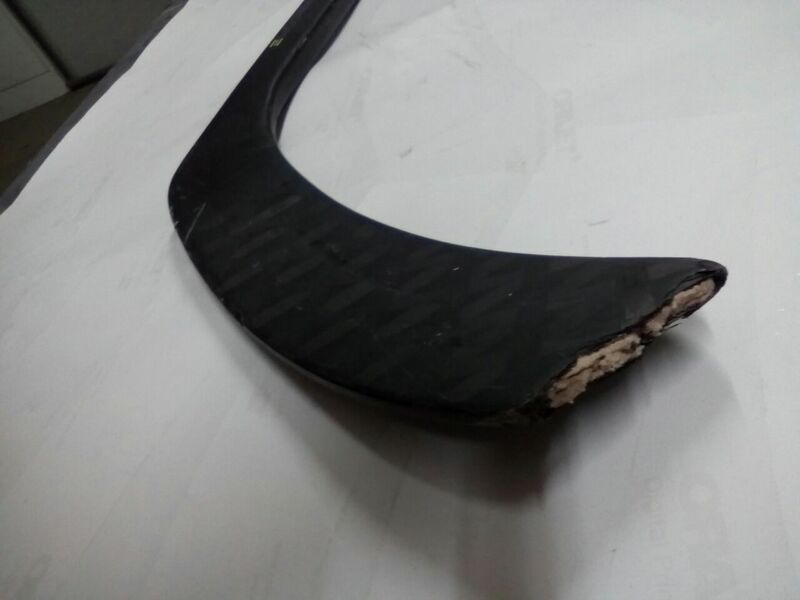 ATOMY for hockey sticks repair in blade. 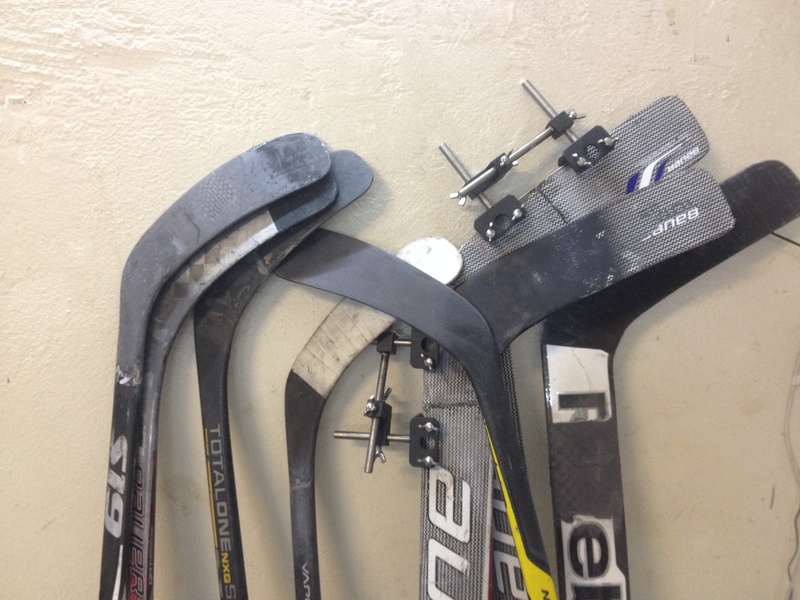 ATOMY hockey stick repair system is universal and designed to restore hockey sticks in the hook. 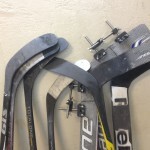 It allows you to quickly combine two parts of a broken stick spending a minimum time. It helps to restore the hook’s geometry, regardless of the break’s location. 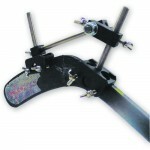 The package includes: a pre-fixation system, hook stencils, pipe stencils, manuals. Fix the stick in the clamp hook up. Set one of the blocks on the main part of the stick, then place the broken part of the hook to the second block. 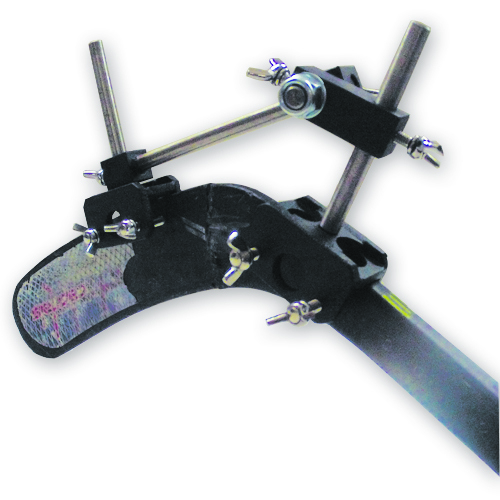 Adjust the position of the broken parts, restoring the original hook geometry. Secure the hinges of the system. 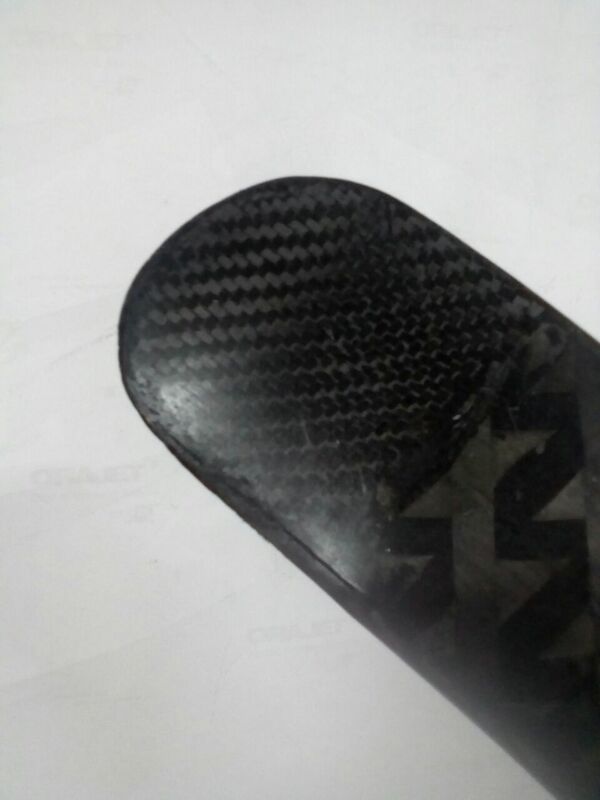 Use a two-component epoxy adhesive to fix both parts. Remove one of the hinges and take the broken part of the hook aside. 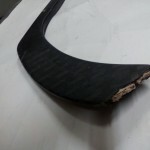 Apply glue to the ends of the glued parts of the stick. Replace the hinge and lock it again. Check the geometry and carry out additional adjustments if necessary. 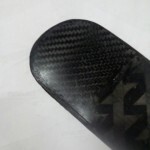 Remove any excess adhesive from the hook surface. Leave the hook in the system for 15-20 minutes (cure time depends on the brand of glue), then the ATOMY system can be removed. You could proceed to the treatment after the adhesive has cured only.